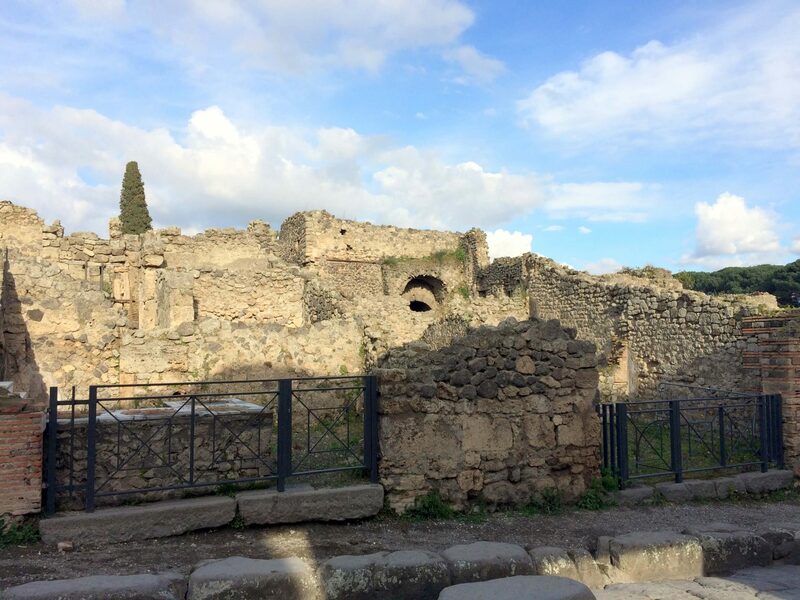 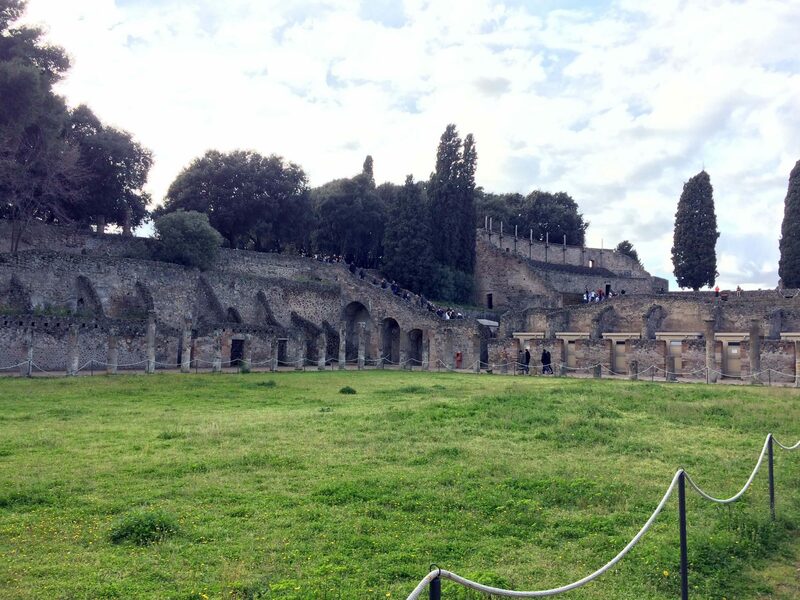 Today I’m sharing a guide to a day in Pompeii and a day in Naples. 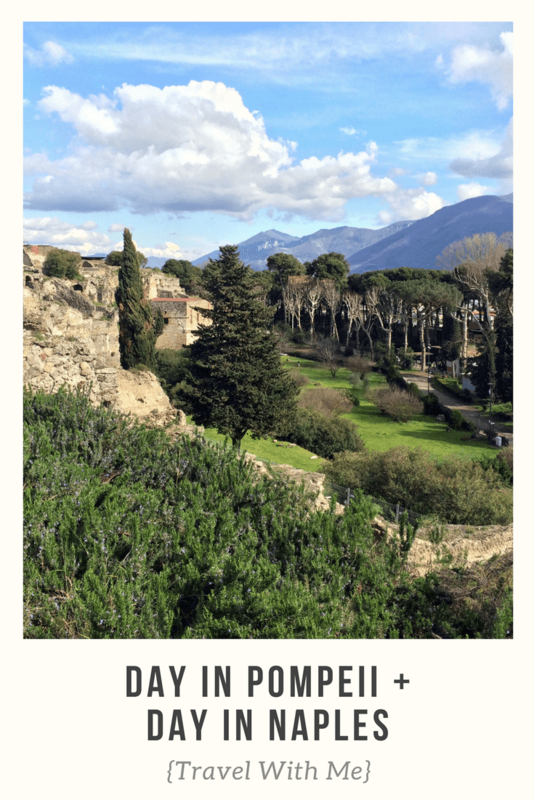 In my last Travel with Me post, I laid out our time on Italy’s Amalfi Coast, where we made our home base in Sorrento and took day trips to Positano and Pompeii. 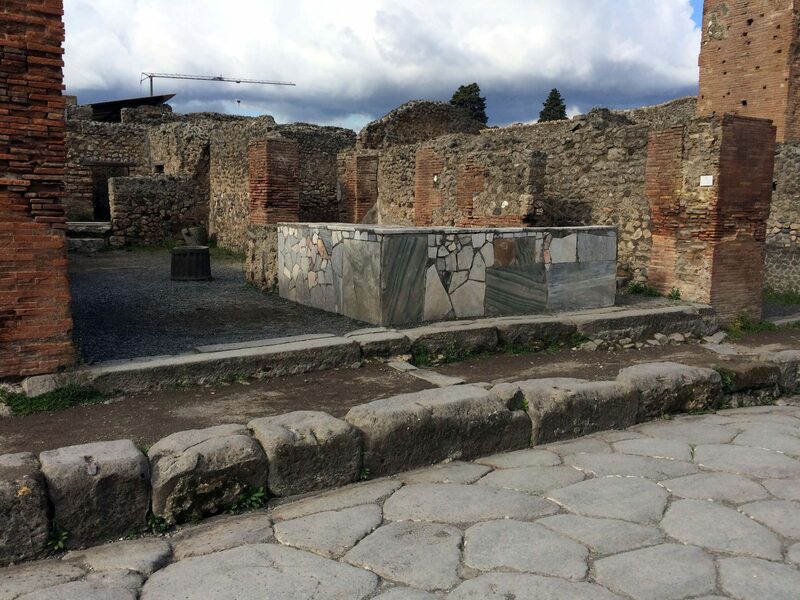 I skipped over our day in Pompeii in that post because I knew I wanted a separate post dedicated to it. 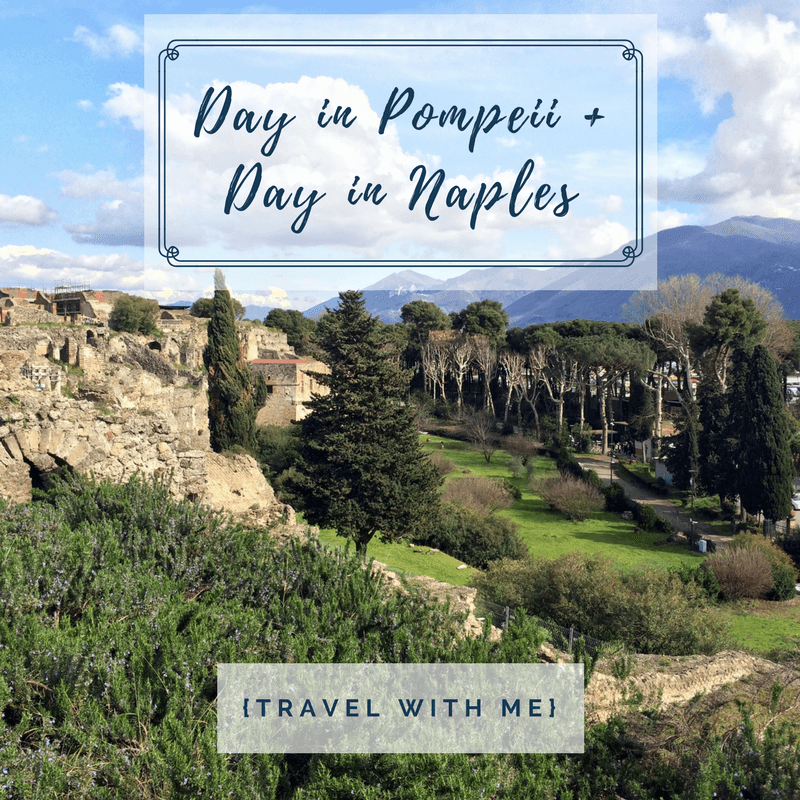 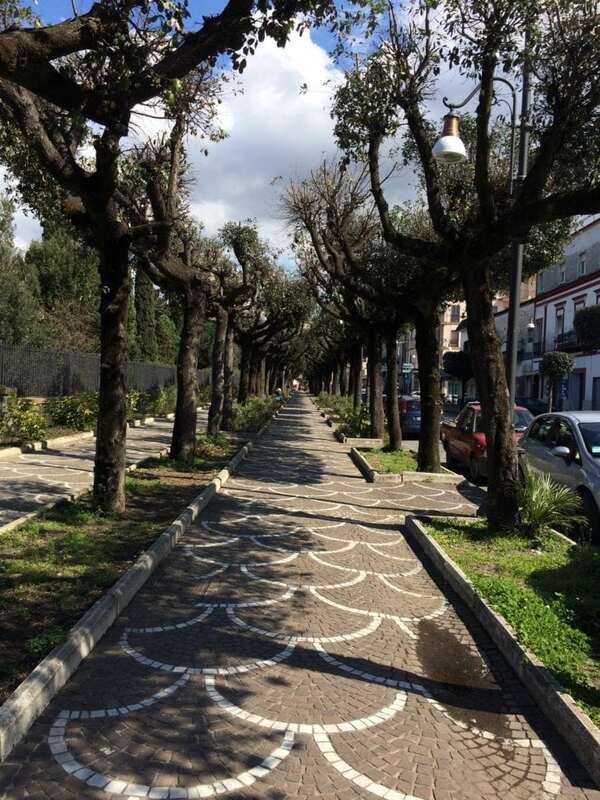 I’m grouping Naples with this Pompeii post because it’s very common for people to combine the two places into one trip as they are a very easy 40 minute train ride from each other. 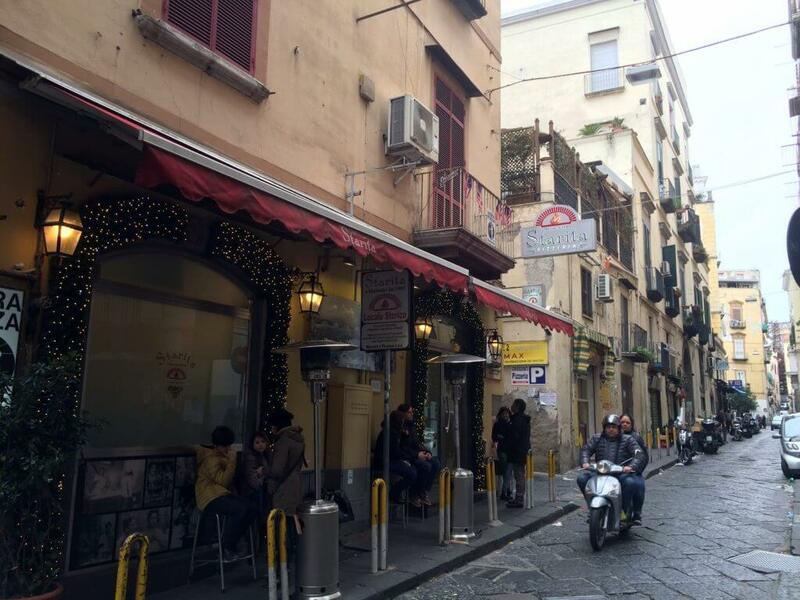 We stopped in Naples for the day on our way from Sorrento to Rome. 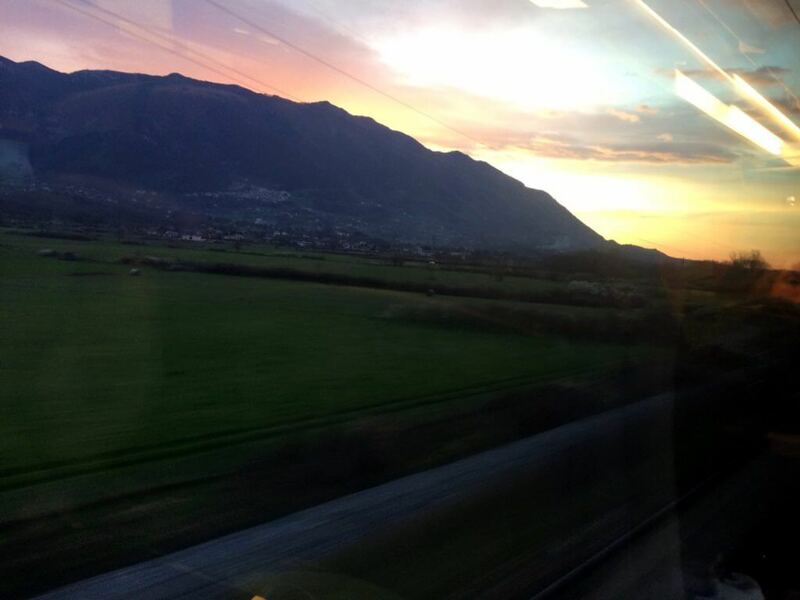 Naples to Rome is a 1 hour and 15 minute train ride. As you are probably starting to see, day trips between any and all of these areas of Italy are very manageable and easy! 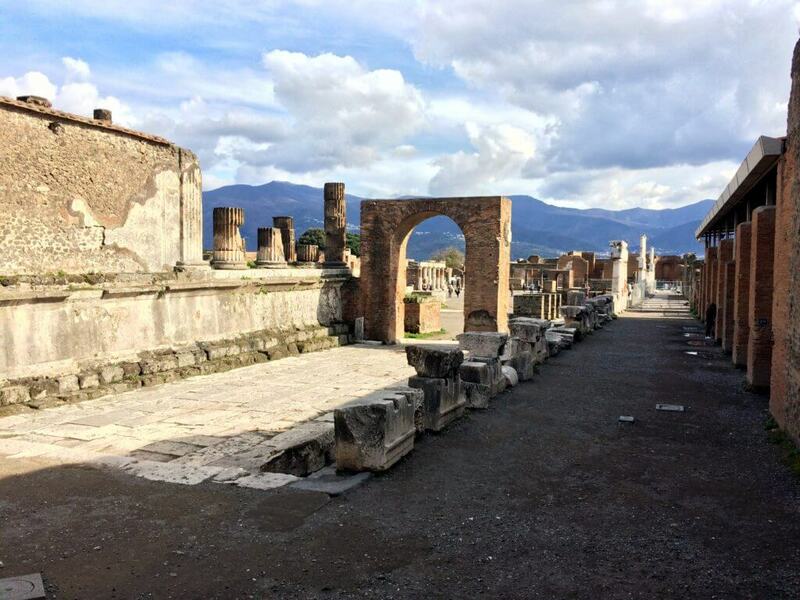 You’ve probably heard of Pompeii, at least in your history textbooks. 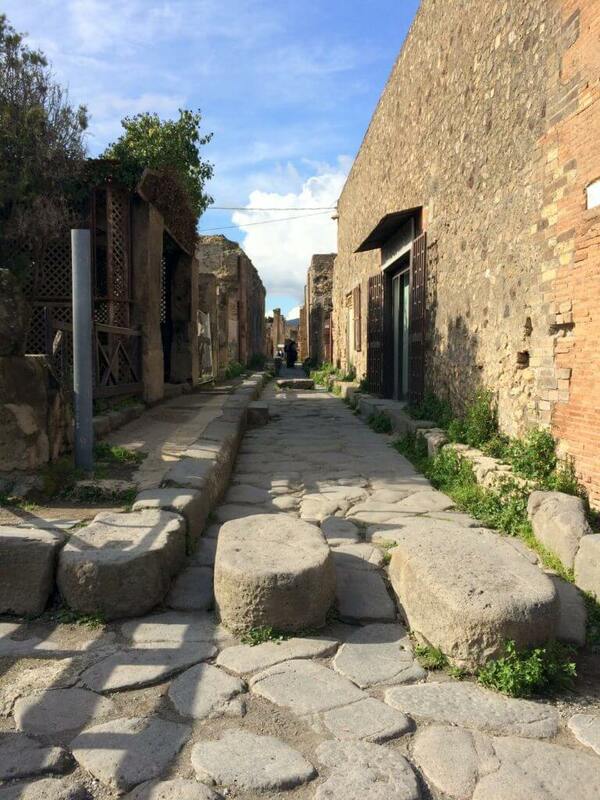 It’s that ancient Roman city that was completely buried by volcanic ash when Mount Vesuvius erupted in AD 79. 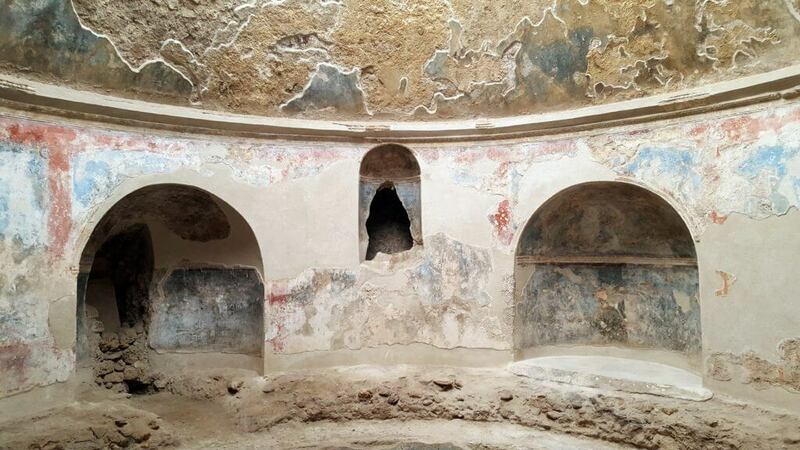 And the reason you’ve probably heard of it is because it was discovered in 1748 almost completely preserved and frozen in time, nearly 17 centuries later. 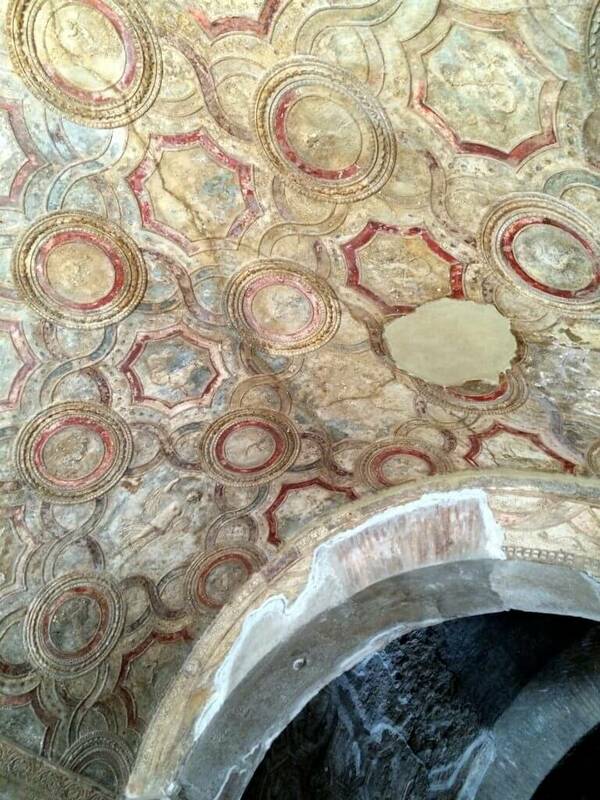 This discovery has allowed historians and archeologists to learn about early 1st century Roman life in incredible detail. 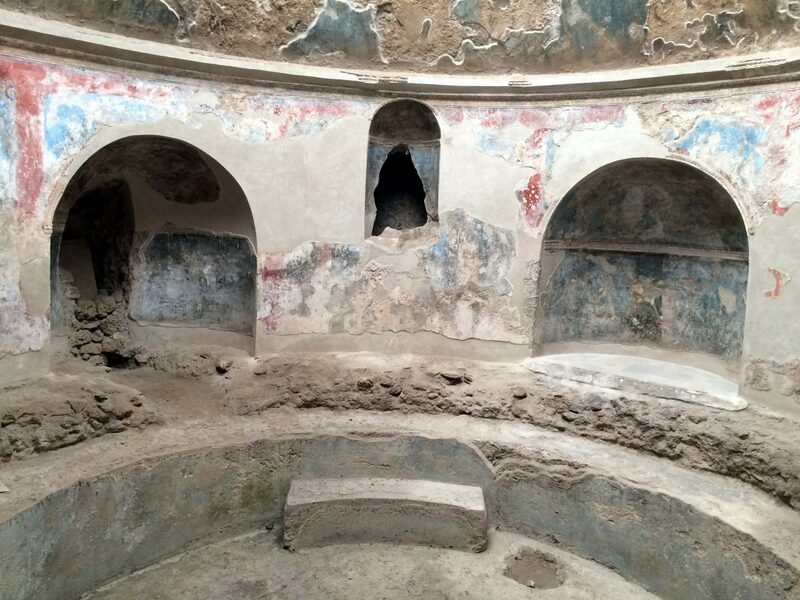 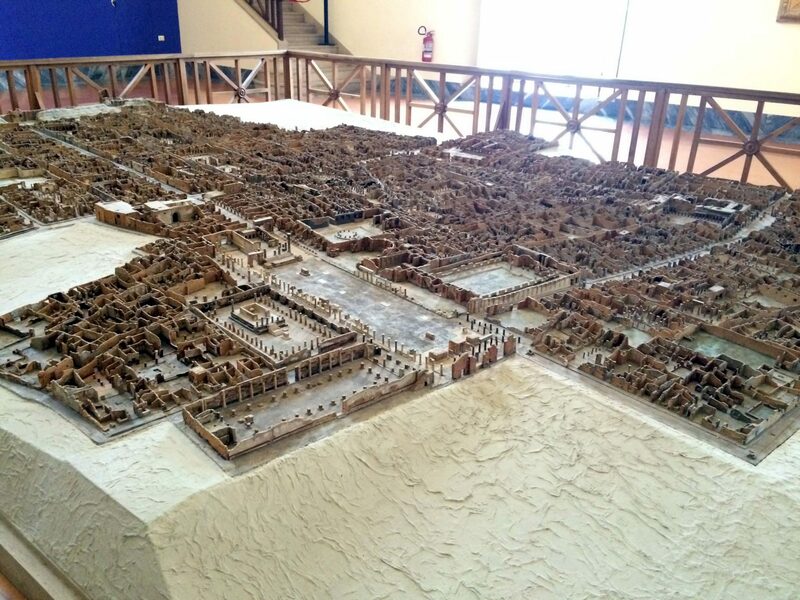 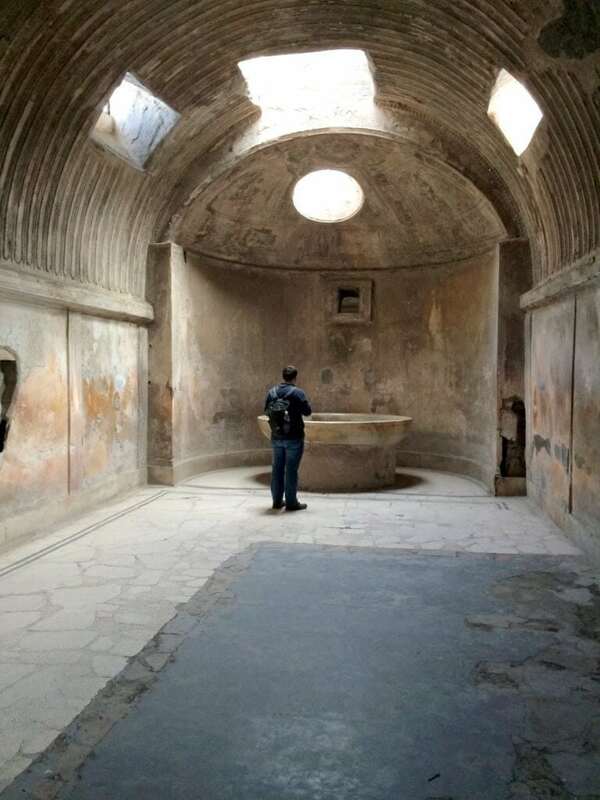 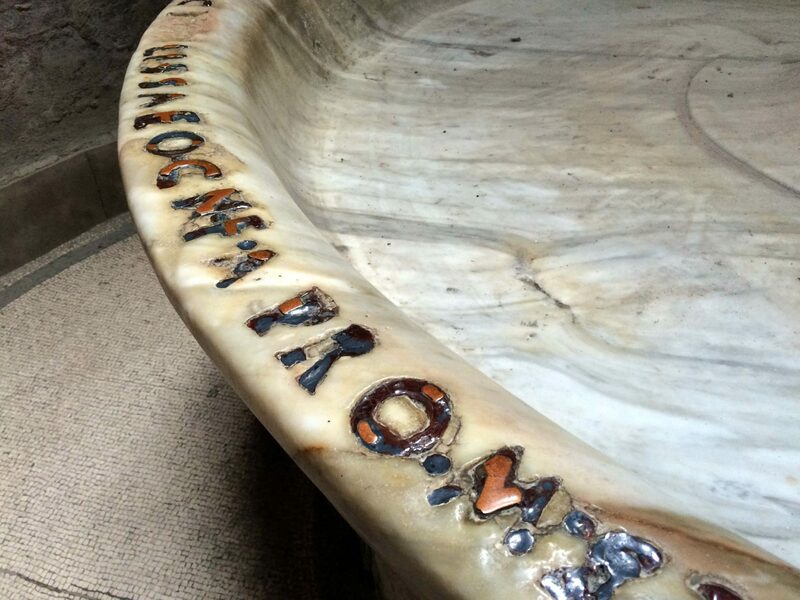 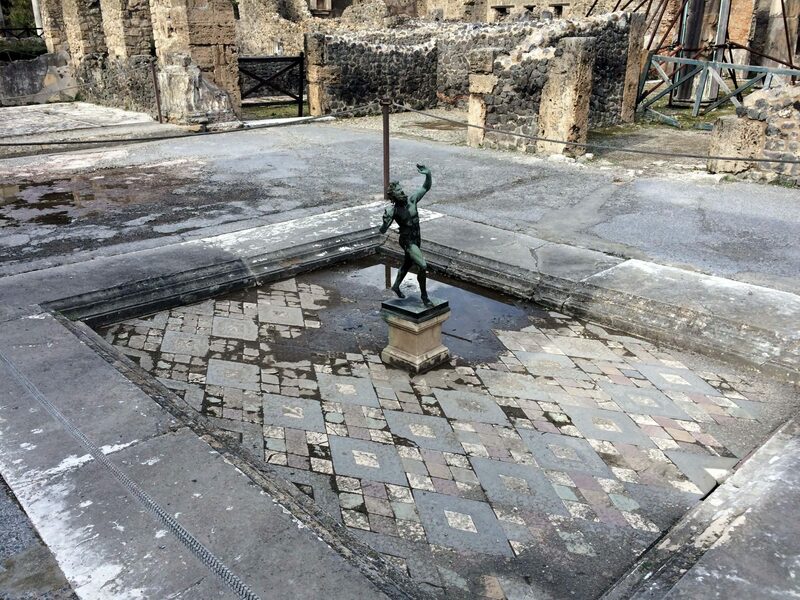 The population of Pompeii at the time of its destruction is estimated to be 11,000, and the city boasted advanced technology for its time, including an intricate water system and bath houses heated by geothermal energy. 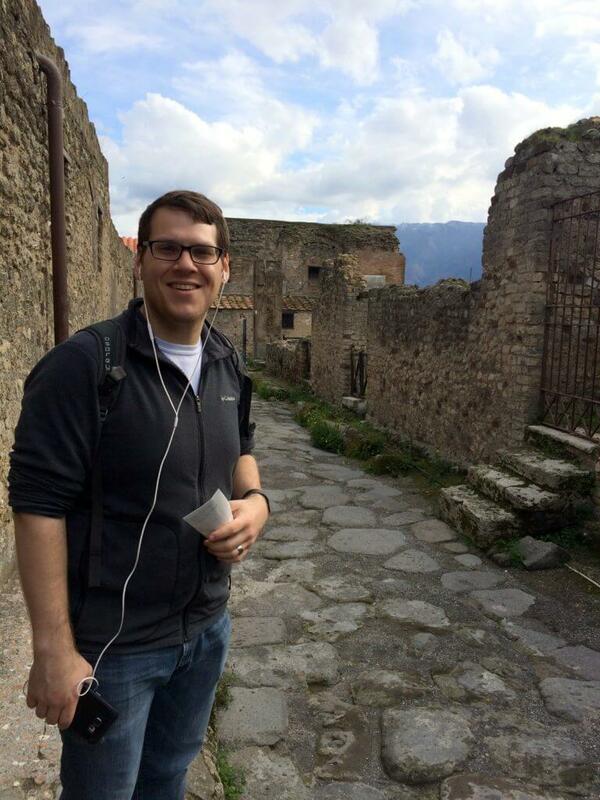 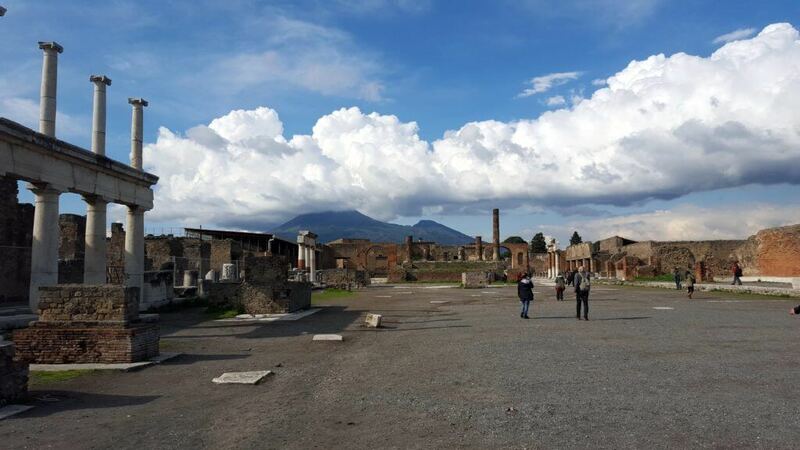 Walking through Pompeii is surreal. 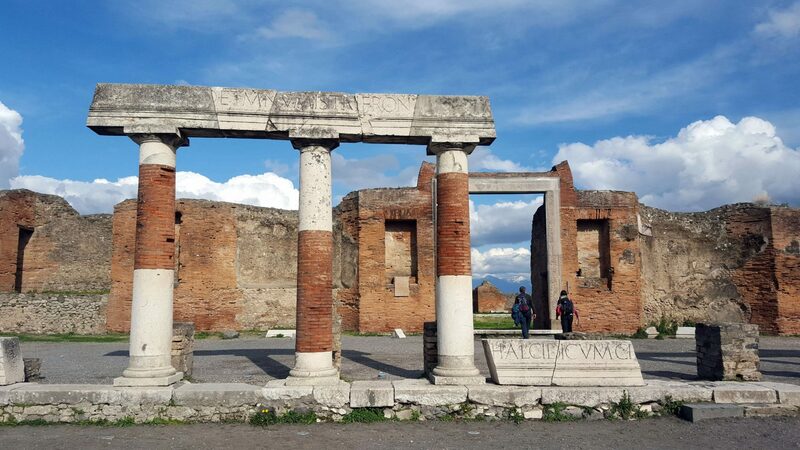 You really are walking in the same exact steps as the city’s 1st century inhabitants, looking into the windows of their homes, admiring the artwork and sculptures they created, and appreciating the artifacts that they used in every day life. 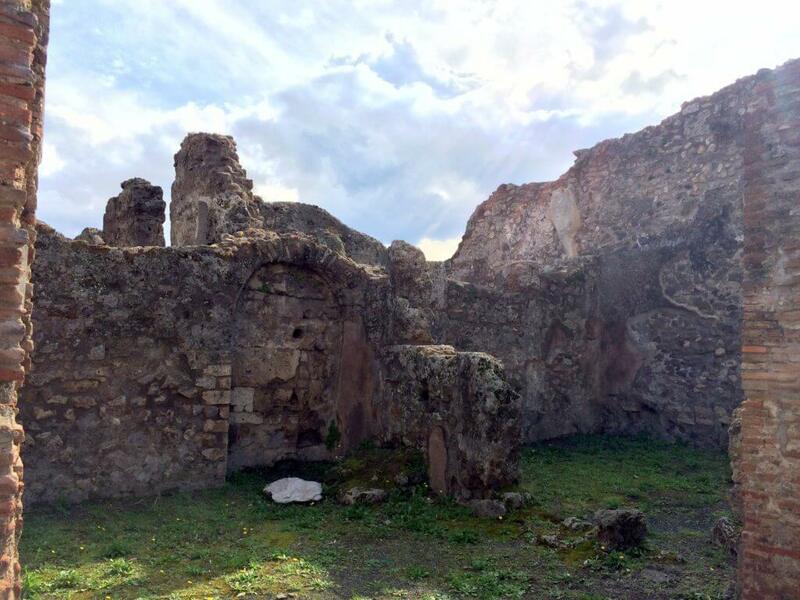 Among the discovered ruins are formations of large wineries. 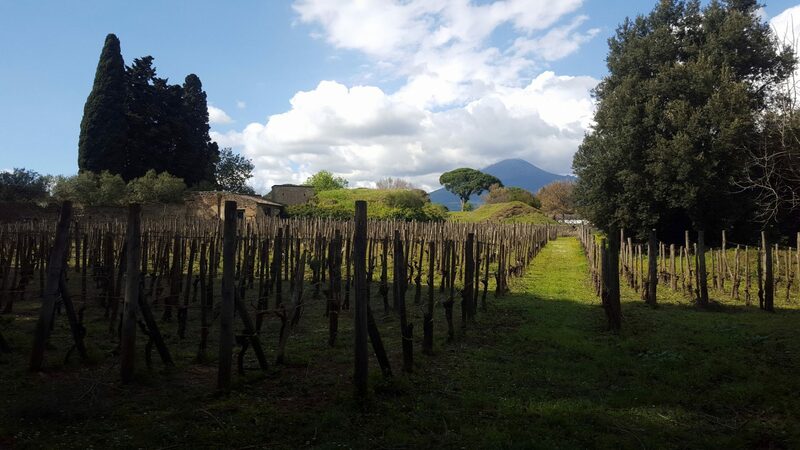 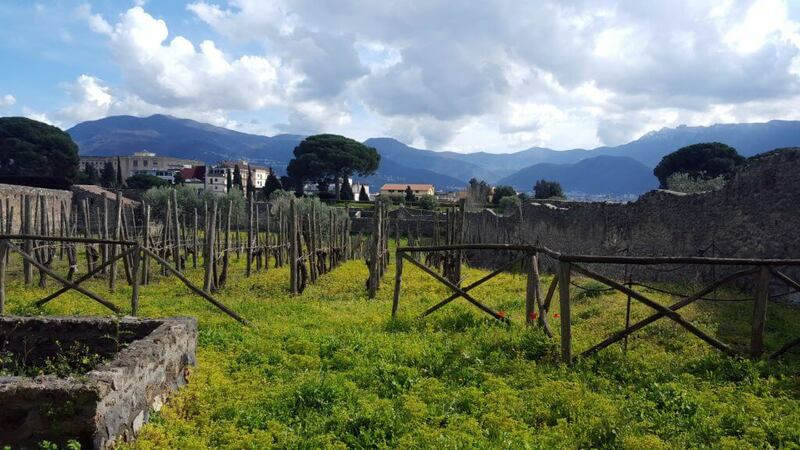 Today, a local winery is trying to recreate the wine of Pompeii by planting vineyards back in the same area. 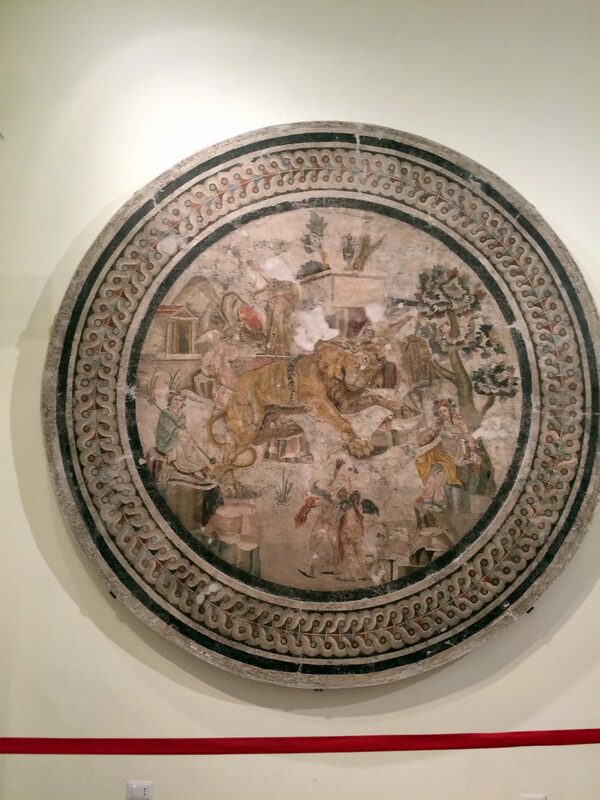 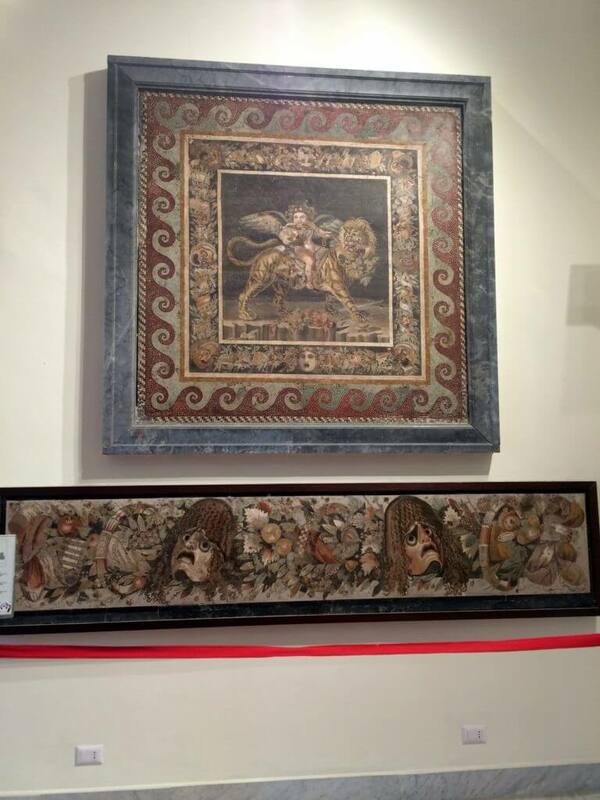 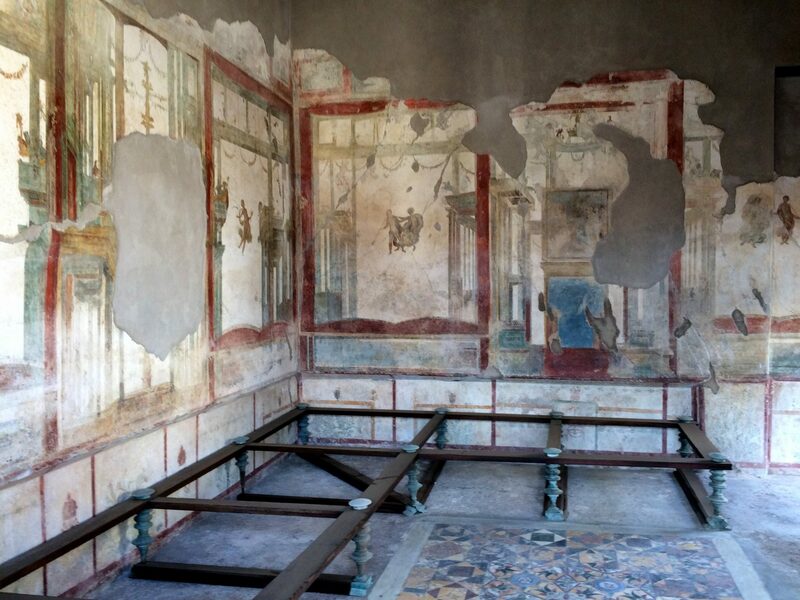 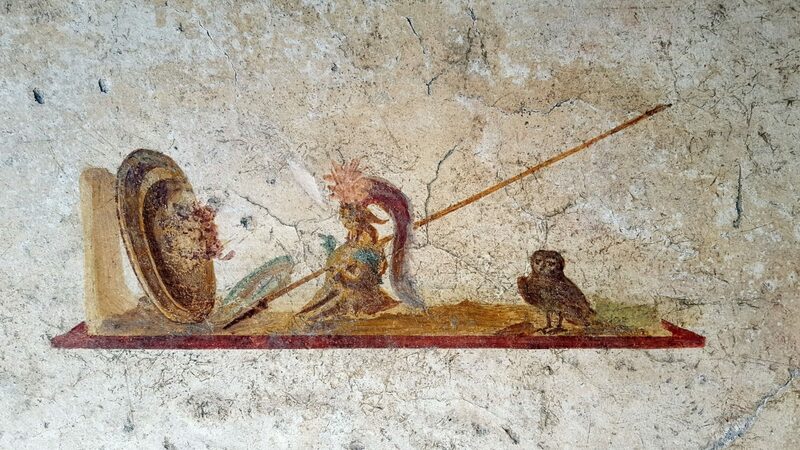 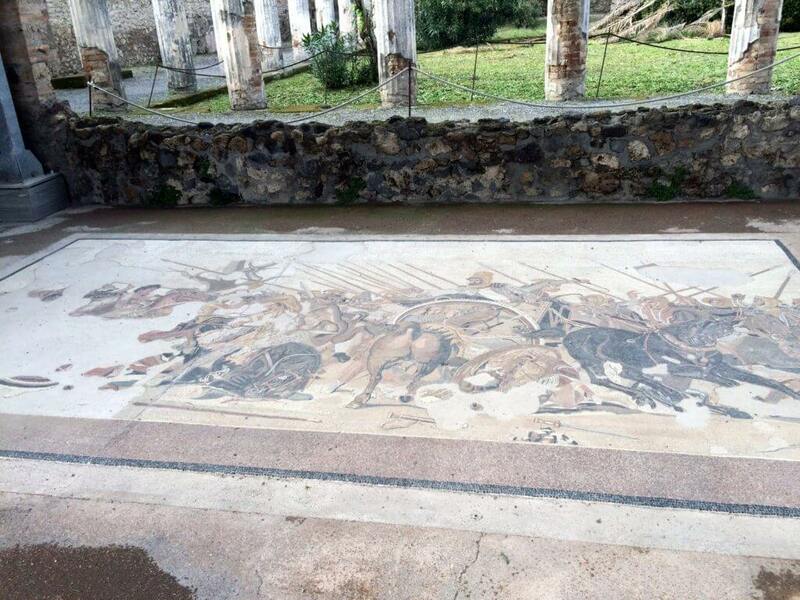 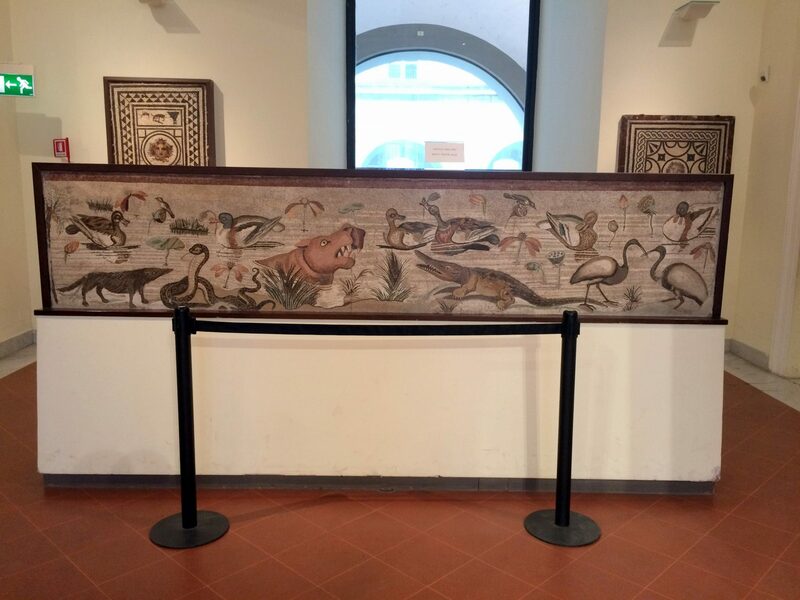 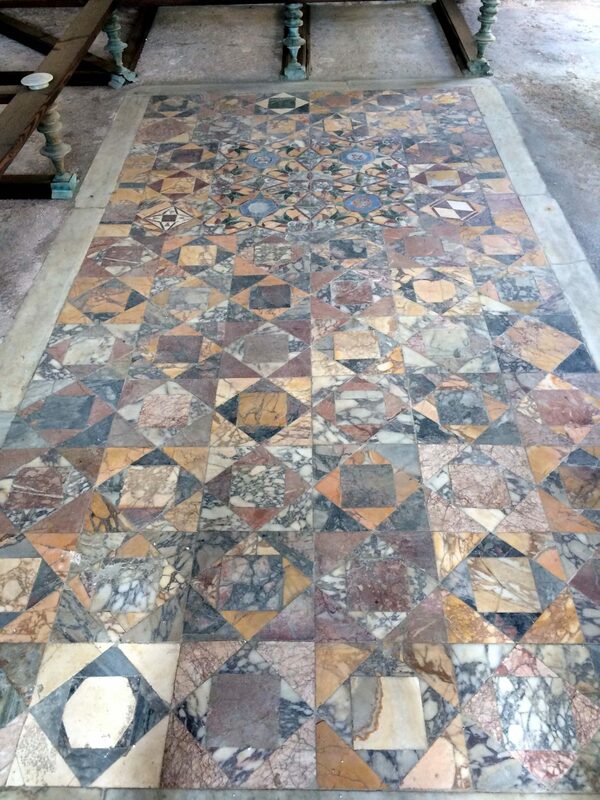 While many of the frescoes, sculptures, and other works of art are original at the site, some of them are replicas. 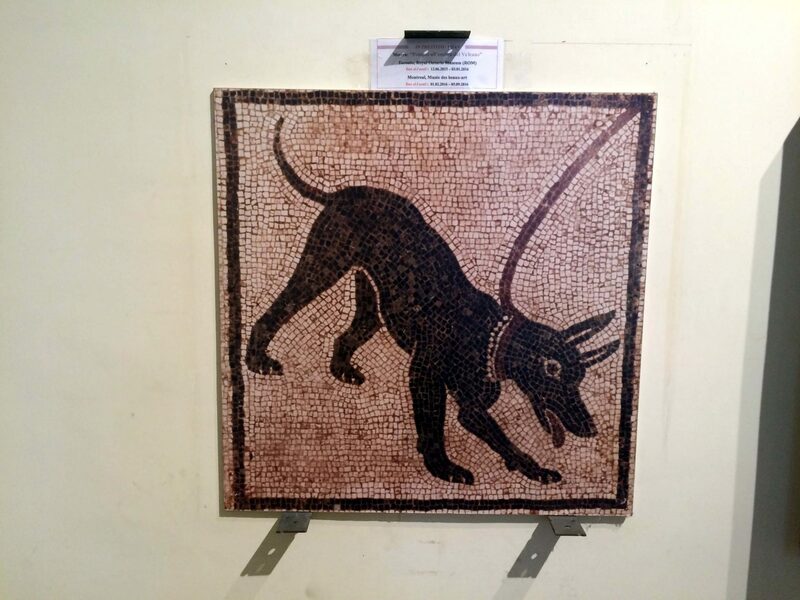 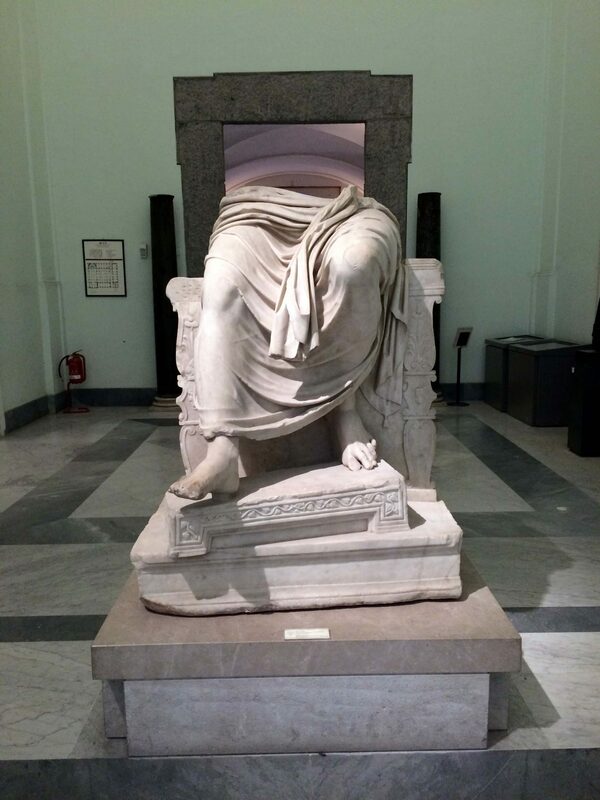 All original items not at the Pompeii site can be found at the National Archaeological Museum of Naples, which I’ll discuss later in this post. 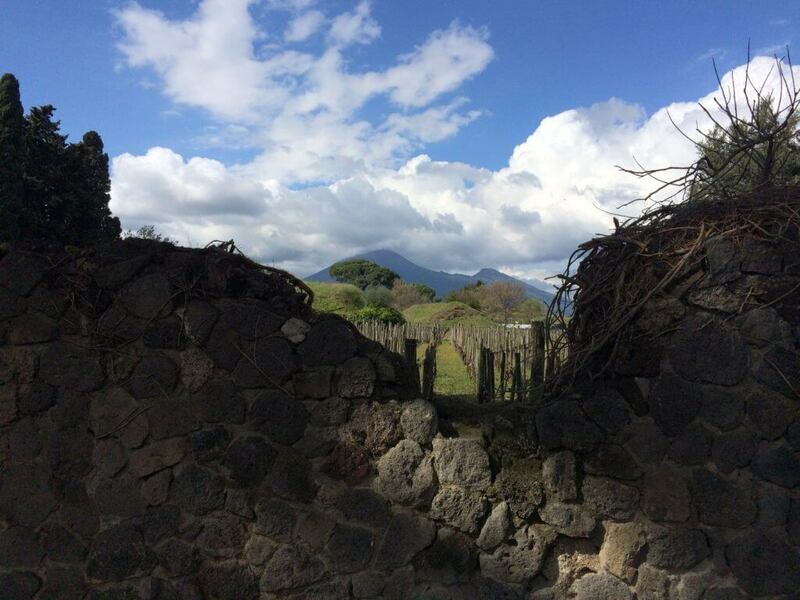 See Mount Vesuvius in the background in the photo below? 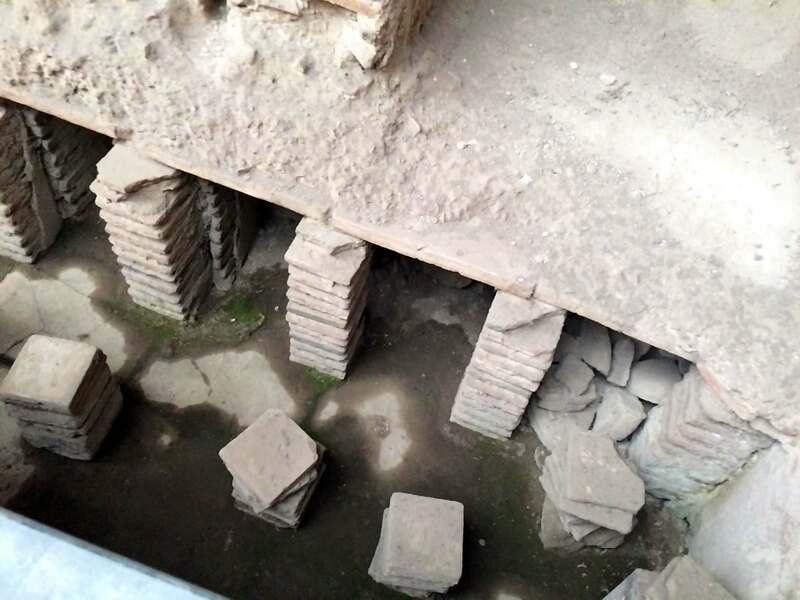 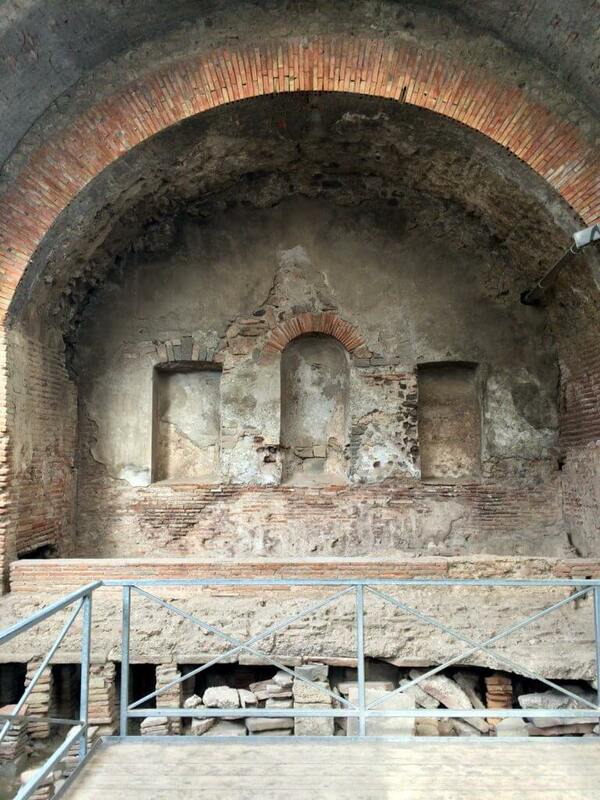 The photo below shows one of the bathhouses. You can see at the bottom and in the following photo where the heating system sat below the baths. 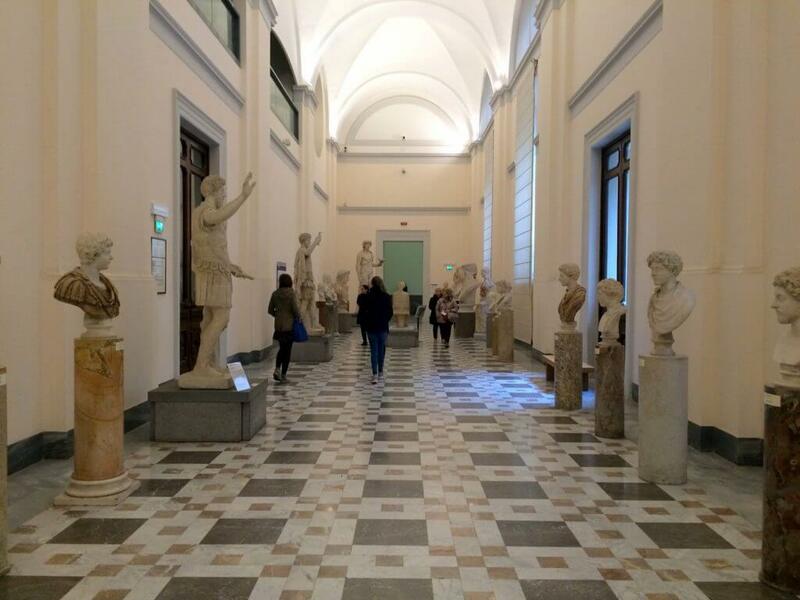 We opted out of an official guided tour as we had heard very mixed reviews on the guides (and apparently it is difficult to determine if you are getting a legitimate guide). 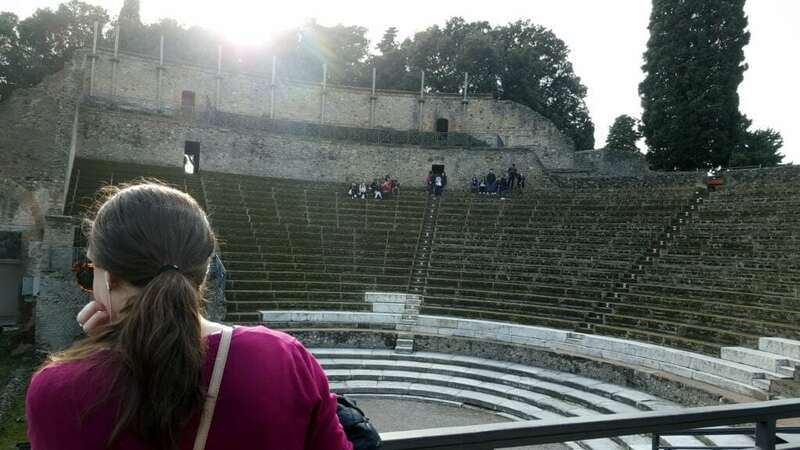 Instead, we did the Rick Steves Audio Tour. 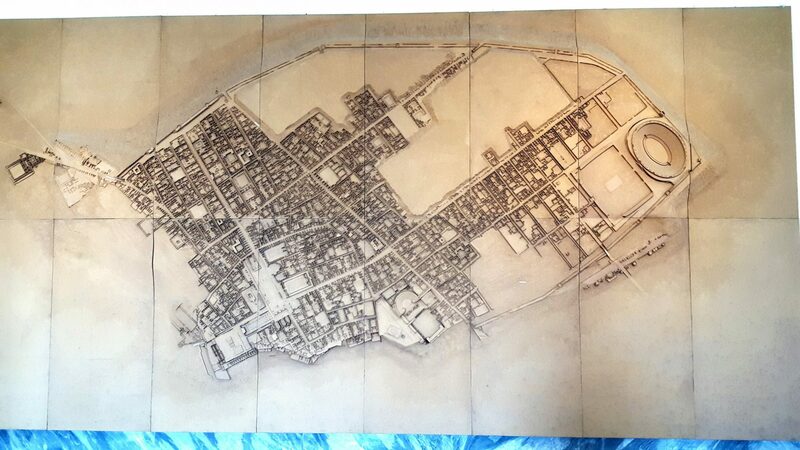 It gave a great summary of the site and walked us through the important parts of the city. 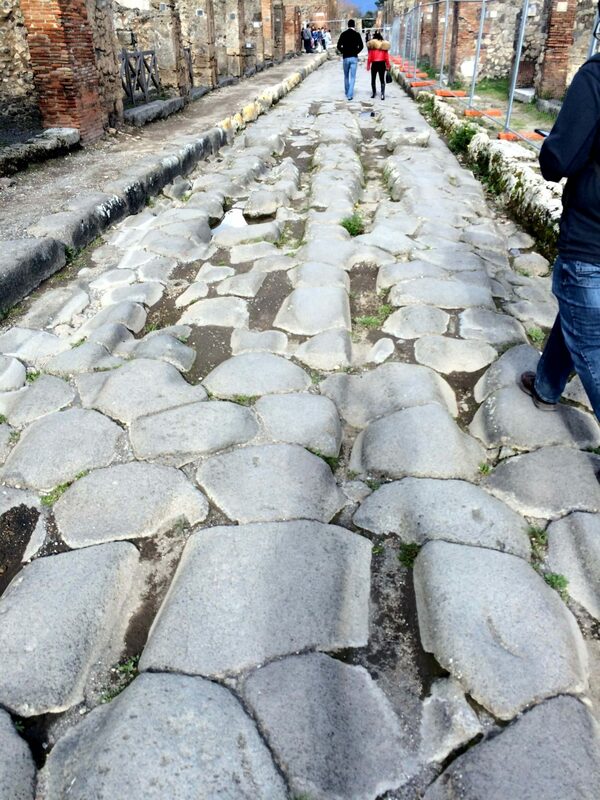 Unfortunately, several sections of the city were closed off for restoration, but we were still able to see most of the sites that Rick walked us to on the tour. 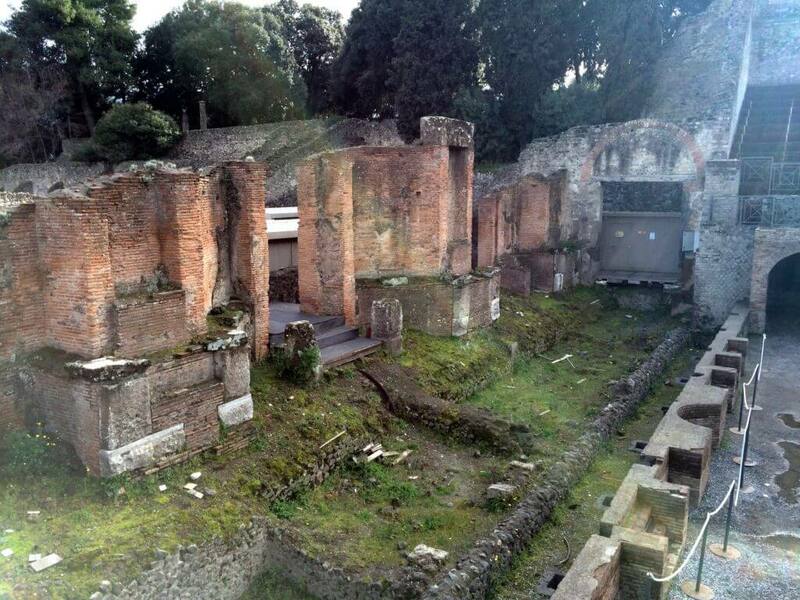 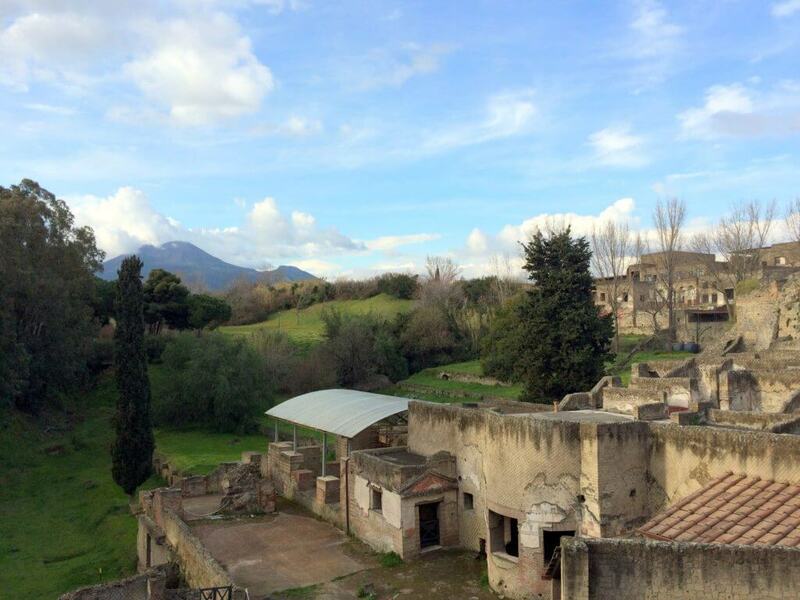 Believe it or not, Pompeii (the city) has more than the ancient ruins. We didn’t do much exploring off of the archeological site, but we did take a short walk to find some lunch. 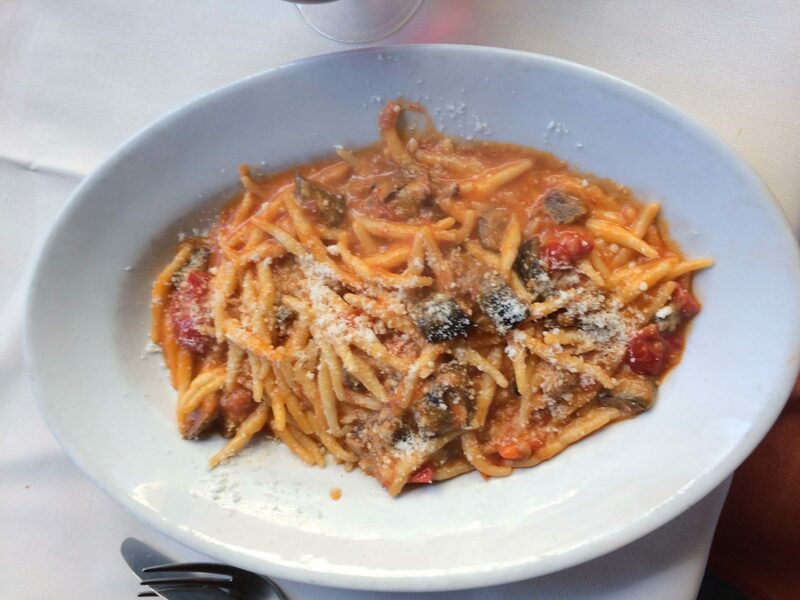 We figured we’d find over-priced, just okay food near the ruins, but we were pleasantly surprised with our delicious pasta dishes! 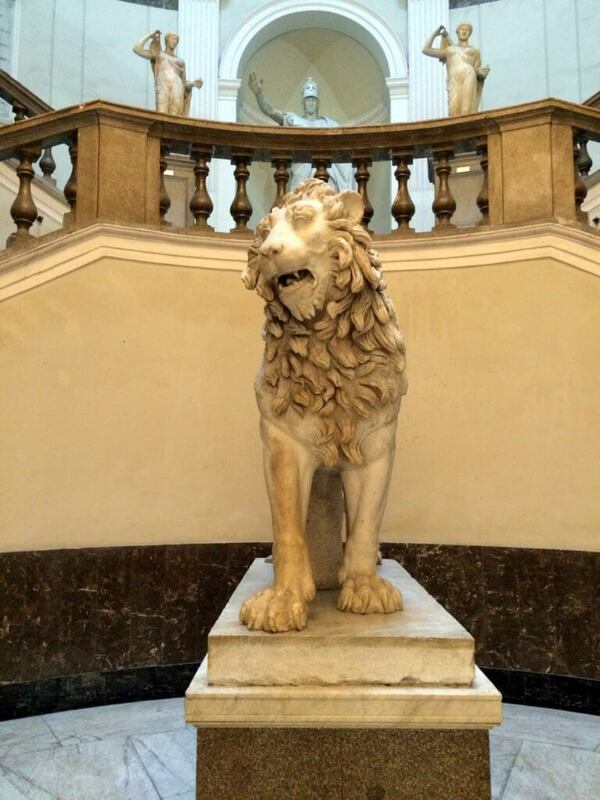 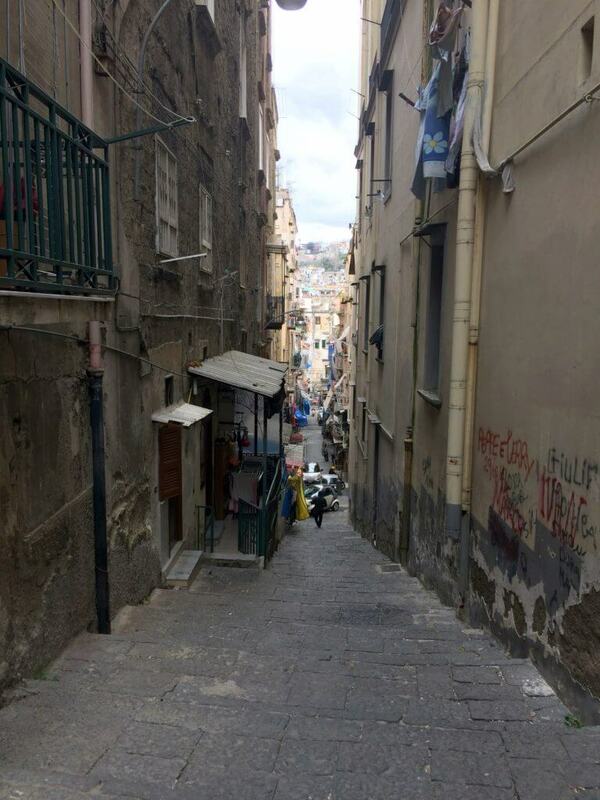 As I mentioned above, a day trip to Naples from Sorrento or Rome is totally doable. 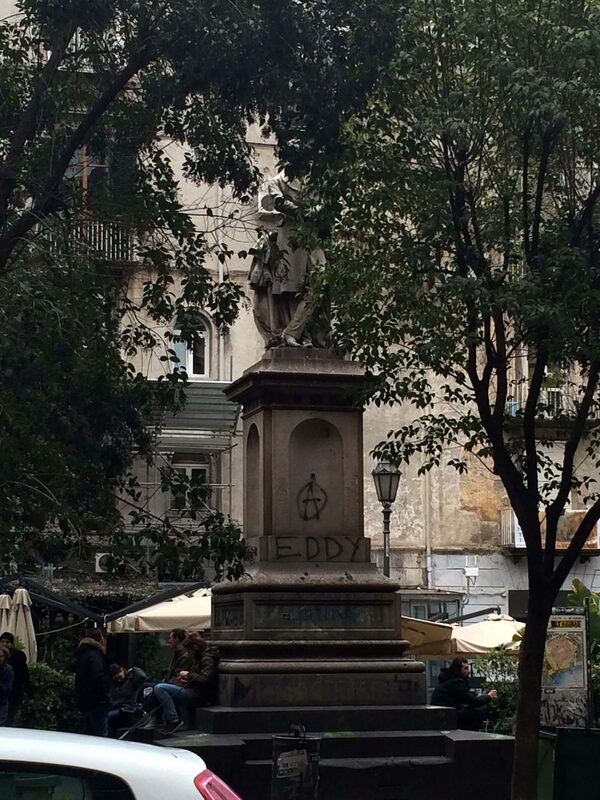 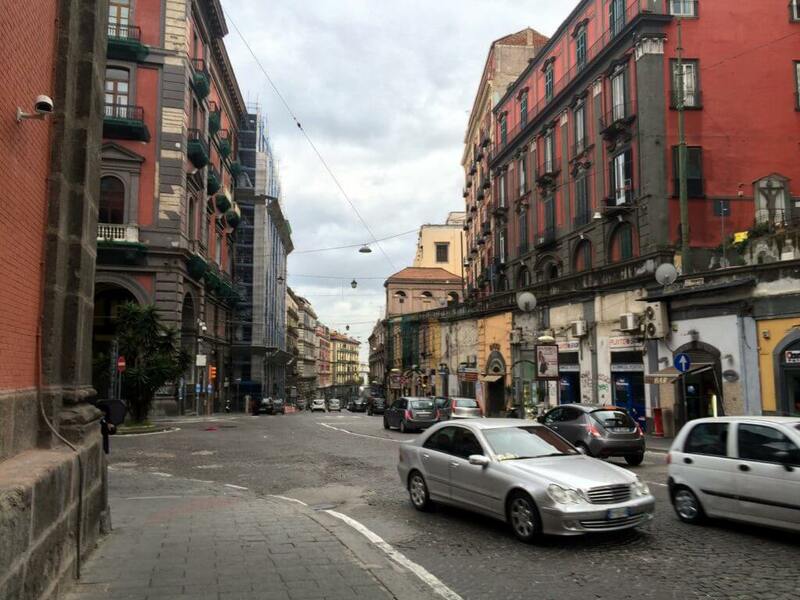 Naples is an interesting town. Daniel and I talk about it as the only place in Italy that we didn’t fall completely in love with, but I will say that we weren’t there for very long and didn’t give it much of a chance. 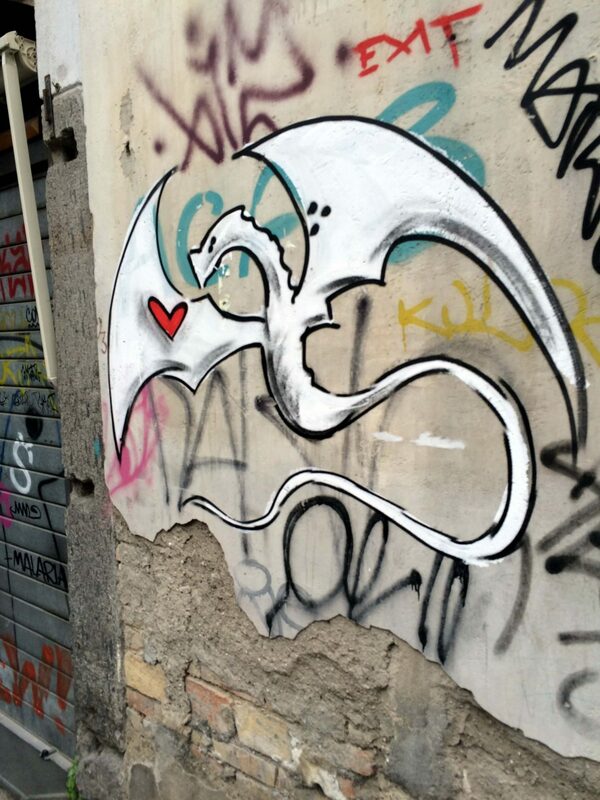 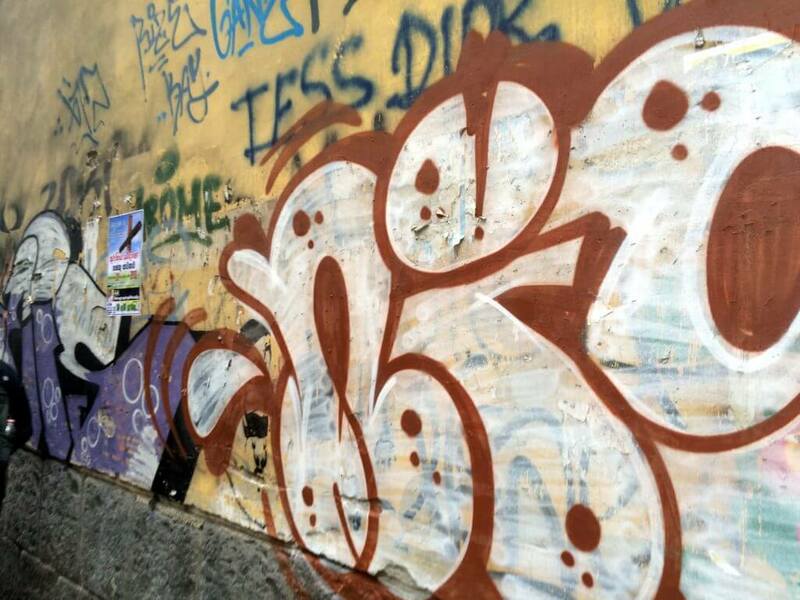 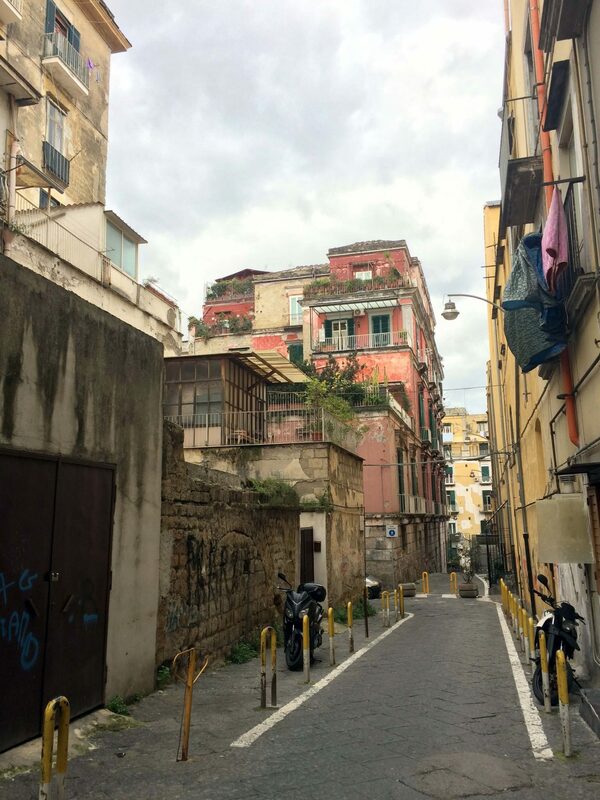 Naples is the third largest city in Italy, and it has a different feel than the other Italian cities we have visited – it’s dirtier and grungier, at least in the parts we saw. 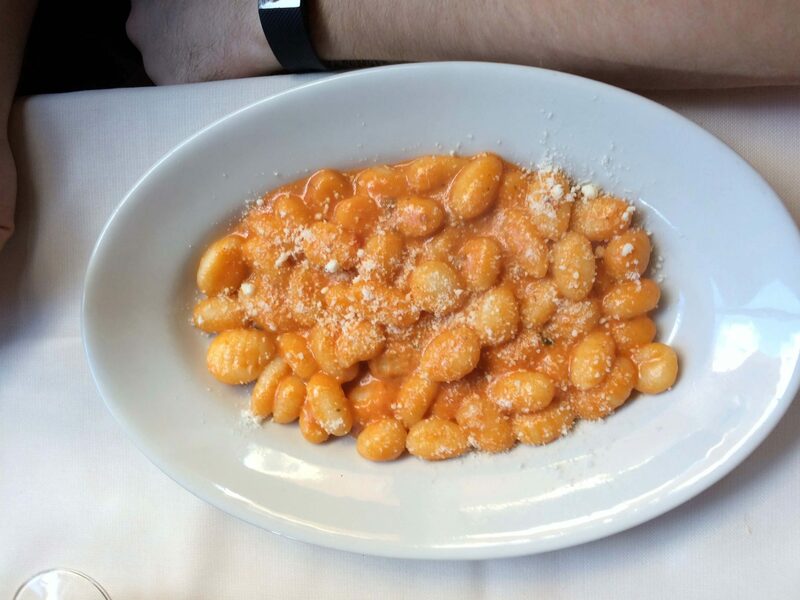 But it’s still an Italian town with Italian charm and amazing food. 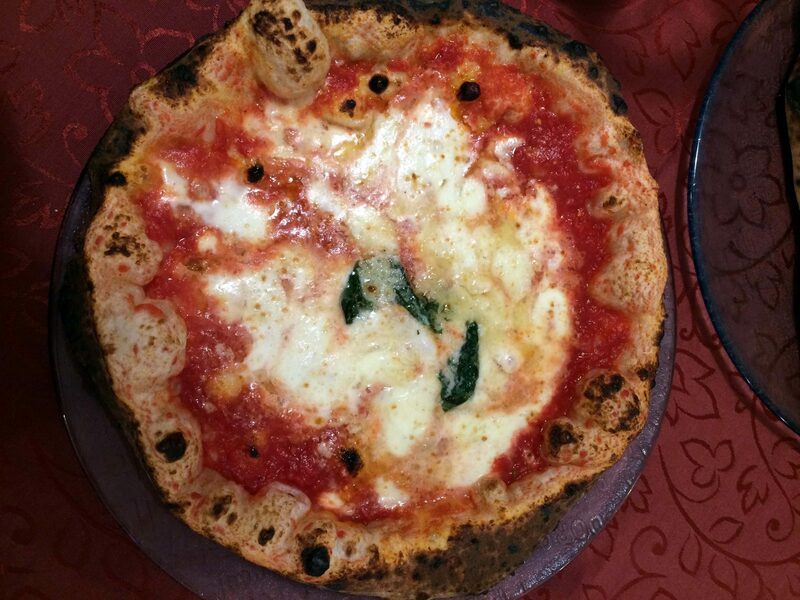 It’s true what they say – real Neapolitan pizza made in its birthplace is amazing! 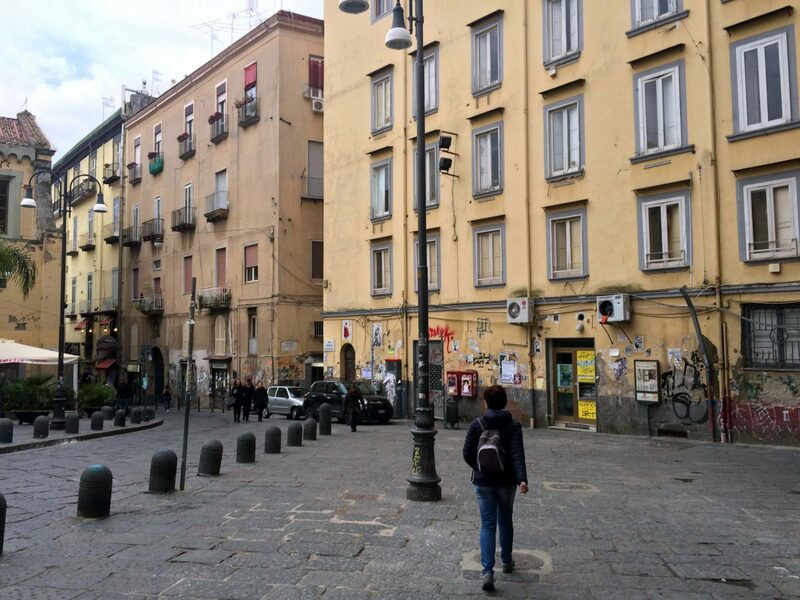 We chose to have our pizza at Pizzeria Starita and were not disappointed. 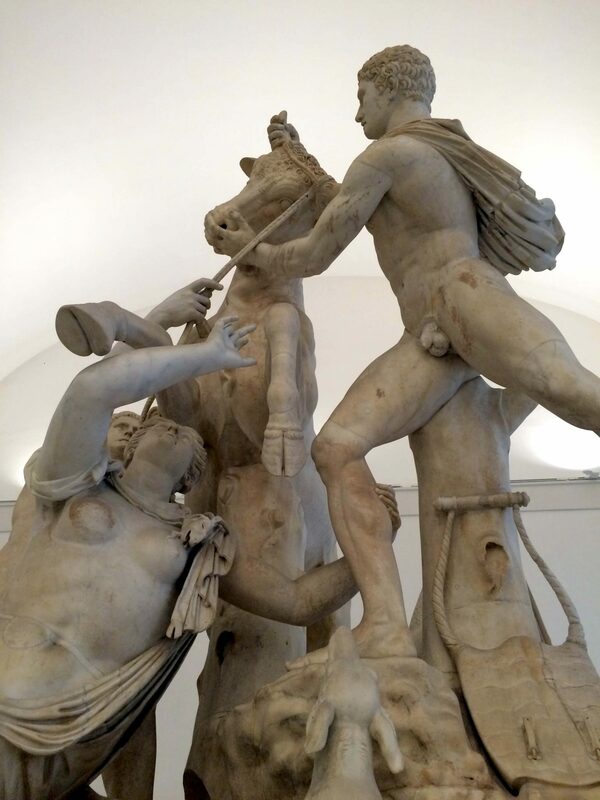 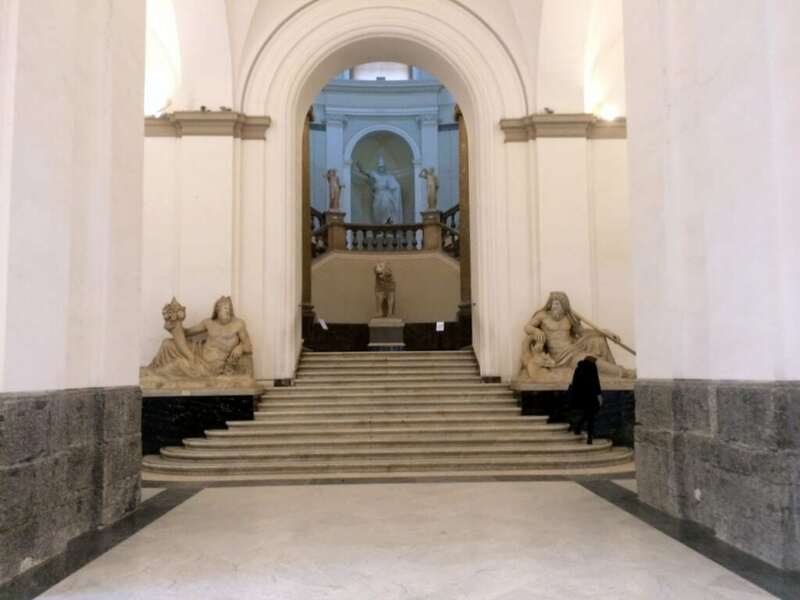 The majority of our time in Naples was spent at the National Archaeological Museum of Naples, home to many of the treasures discovered at Pompeii. 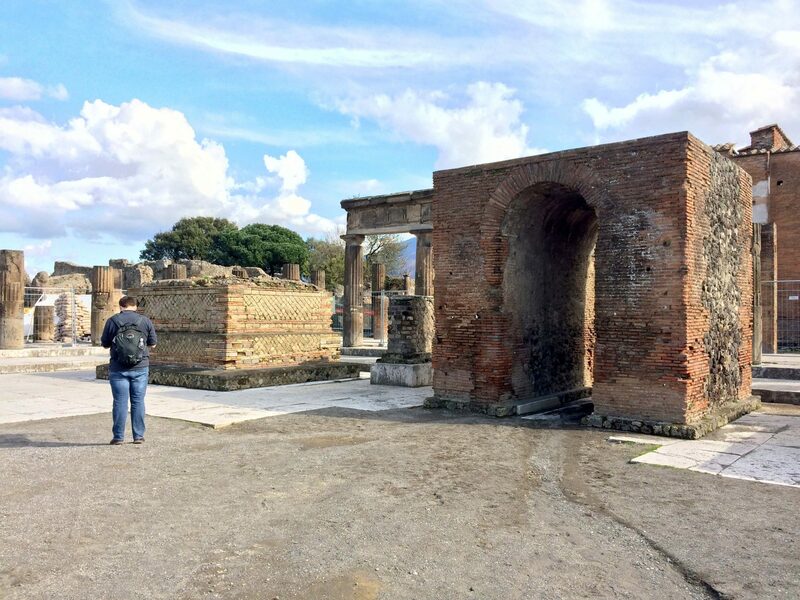 Our visit was the day after our visit to Pompeii, so we were excited to see some of the real paintings, sculptures, and artifacts from the ruins we had literally just walked through. 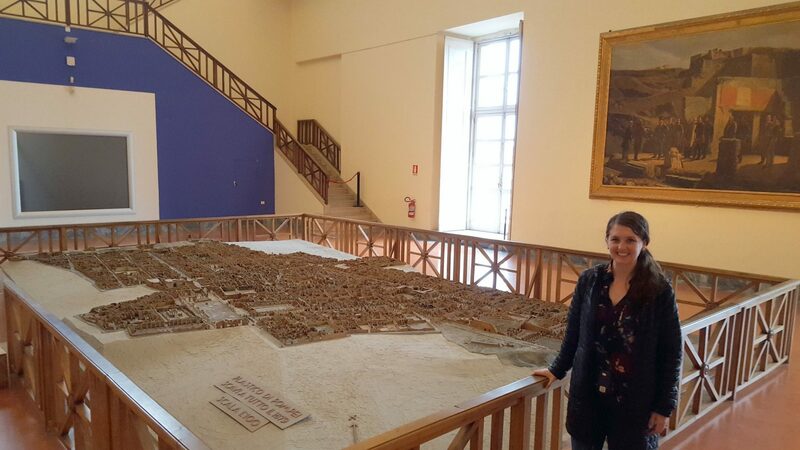 I thought that one of the best parts of the museum was the miniature replica of Pompeii (see photos below). 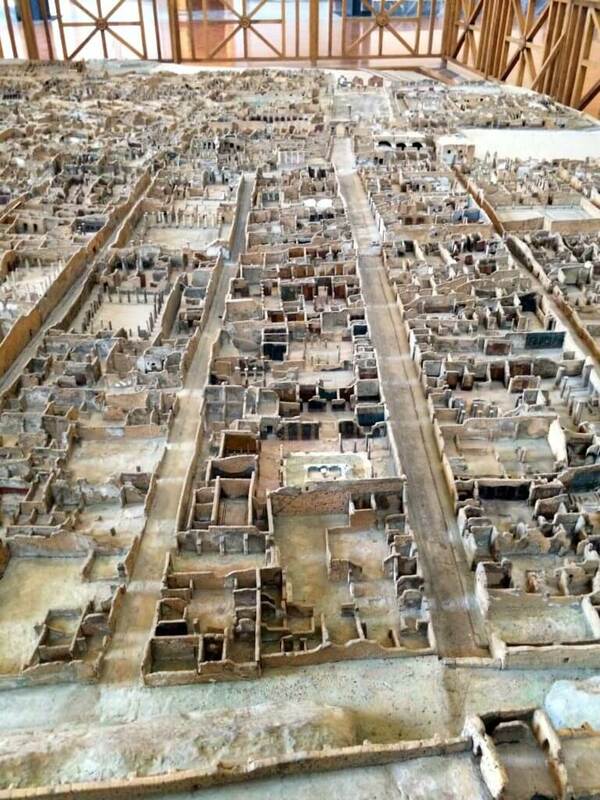 It is so detailed and fascinating! 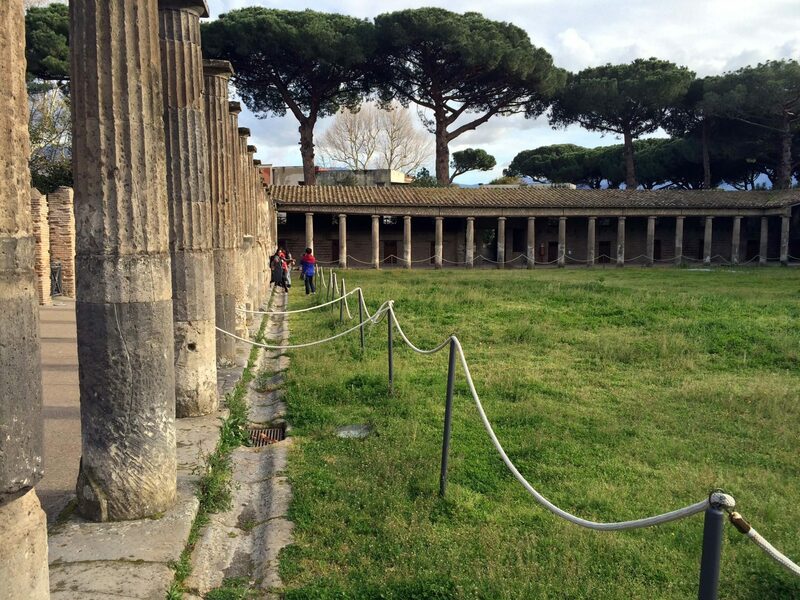 After that, we headed back to the train station to catch our train to our next stop – Roma! 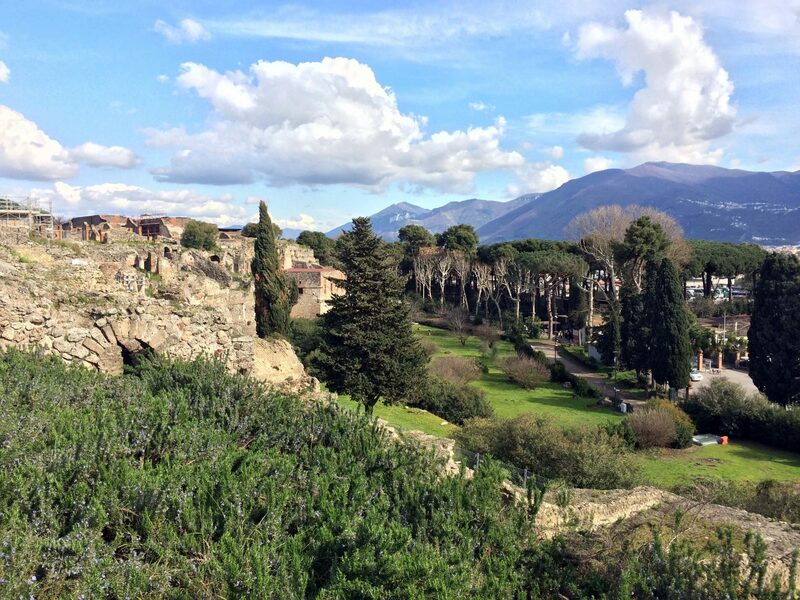 Believe it or not, Rome was the last stop on our 2.5 month backpacking trip around Europe. 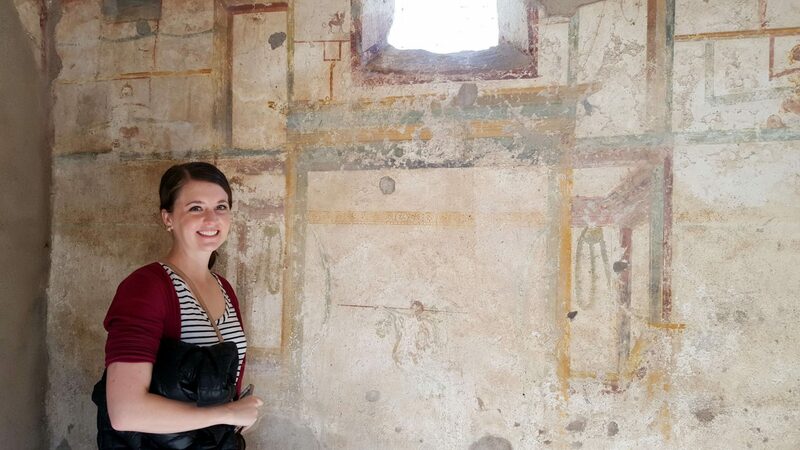 I can hardly believe I’m almost done blogging about this trip, but it’s about time! 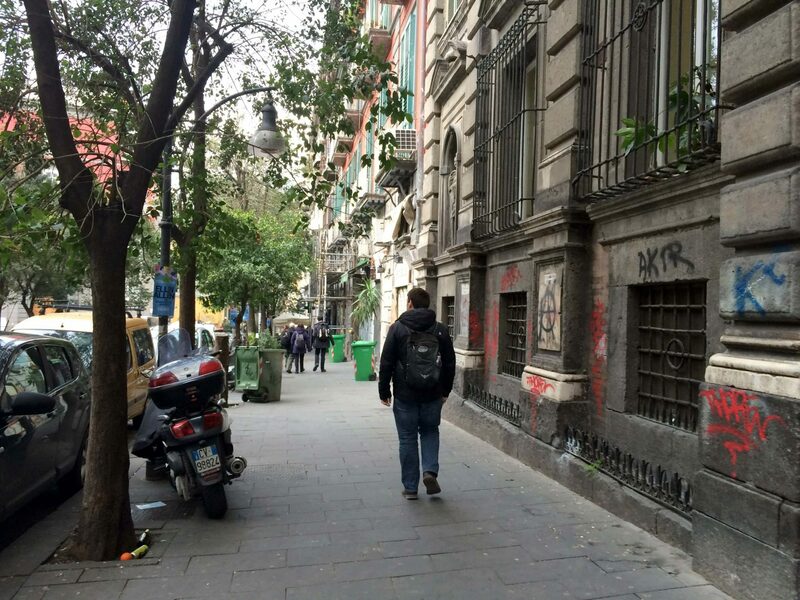 Our time in Italy was part of a 2.5 month trip across Western Europe. Click here to check out all of my posts from this adventure!